Commercial - Welcome to Air Conditioning Studio City! If you have any questions with what system would be best installed in your building or any repair problems you have then please get in touch with us today. Sometime the longer a problem is left the worse it can become, if it is about a unit not working properly then the sooner we get out to look at it the less chance you will have of it having total mechanical and electrical break down. The other thing that is interesting and sort of disgusting at the same time is if air ducts and filters are not changed and cleaned then dust gets caught in the system and recycled through the system for you to breathe in. So all of them co-workers or even strangers around you right now shedding dead skin cells or bringing in bacteria and other particles, bio-aerosols or gases are being circulated and breathed in by you and other staff members or people of the public. When we put it like that it is kind of gross right? That can be easily addressed by having our service team come and clean out any ducting you have and change all the filters on a regular occasion so you have lovely clean fresh air. It takes 2 minutes to phone us and get a quote on how much a service contract will cost to have us come out on a regular basis and maintain the system for you. 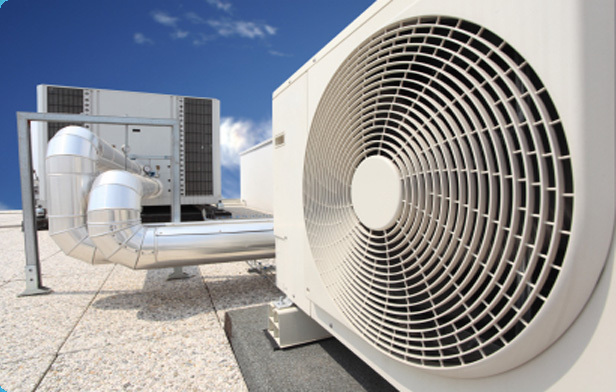 We work on looking at every aspect of the air conditioning and heating system so you will never have to worry about dirty air or breakdowns again.